Bored of the same old freemium strategy games and endless runners? Then check out some of the weird and wonderful (but alway brilliant) games in this post! A huge machine is crushing a fantasy dreamworld and its your job to help the world’s fuzzy little inhabitants escape. To do this, you have to tap your way to freedom through a series of spikes, gears and other nasty bits of machinery. Each tap and hold sends your furballs flying up, and letting go brings them back down (hopefully onto safe ground). Badland can be frustrating but its extremely rewarding and looks like a slightly more colourful version of Limbo. It’s won a lot of awards too, including Apple’s iPad Game of the Year in 2013. Monument Valley is a puzzler inspired by the architecture of M.C. Escher (AKA those pictures with the staircases that link in seemingly impossible ways), with players manipulating a series of 3D mazes in order to outwit an evil army of crow people. It’s unlike any puzzle game we’ve played before and it looks like an interactive painting, leaving a lasting impression long after you’ve put your phone down. Anyone who plays videogames on a regular basis will be more than familiar with the concept of killing everyone in sight, but it’s fair to say they probably haven’t done it by engineering their own virus before. Plague Inc challenges you to create your own disease and wipe out the world’s population by evolving it and helping it spread. The action takes place on a world map that slowly turns red as your creation spreads, with little news snippets relaying the effects your disease is having on society. Now here’s something you don’t see everyday: a mobile puzzler with a deep, involving plot! Thomas Was Alone follows a group of self-aware AI as they navigate through a computer system. Each AI is represented by a block, with each block possessing a unique ability that will help you traverse the game’s puzzles. Thomas Was Alone is minimalist, weird and unlike anything else we’ve ever played. Highly recommended! 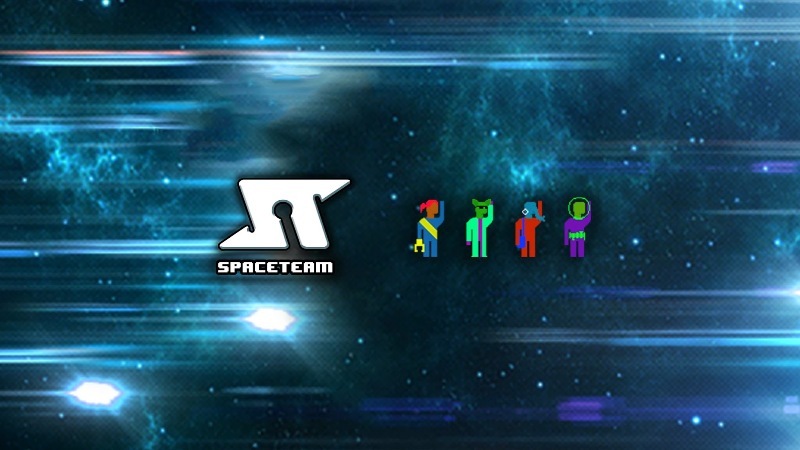 The goal of Spaceteam is simple: you and a couple of friends have to save a spaceship from destruction by operating its control panel. Unfortunately, achieving this goal is anything but simple because Spaceteam presents each step you need to take on screen – but not necessarily your screen. So, your friends may get an instruction that requires you to do something, and the only way they can convey this is to shout nonsense instructions at you. Needless to say, Spaceteam soon descends into chaos, screaming and arguments but its ridiculously good fun and possibly the best multiplayer game available for mobile. An army of interdimensional space beasties have invaded Earth and are planning untold destruction, and the only thing standing in their way is…erm, a toaster. Toast Time casts you as TERRY, a toast-ejecting recoil and reloading (see what they did there?) device and humanity’s last hope. Your mission is to fight off the invading alien nasties using toast, crumpets and your own weight, with a little help from a cup of coffee (which gives you superpowers). It’s as barmy as anything, but that’s why we love it. In this ambient puzzler, you’re some kind of cell whose only wish is to grow bigger. To do this, you have to absorb smaller cells by propelling yourself towards them. Unfortunately, propelling yourself means ejecting matter, which makes you smaller and prone to being gobbled up yourself. It sounds stressful, but Osmos is actually very relaxing. The kind of game that’s good to play before a good night’s sleep. Have you got a game you’d like to recommend? Share your review with us in the comments! musicMagpie is the surprisingly easy way to sell games online. Just click below to get started!